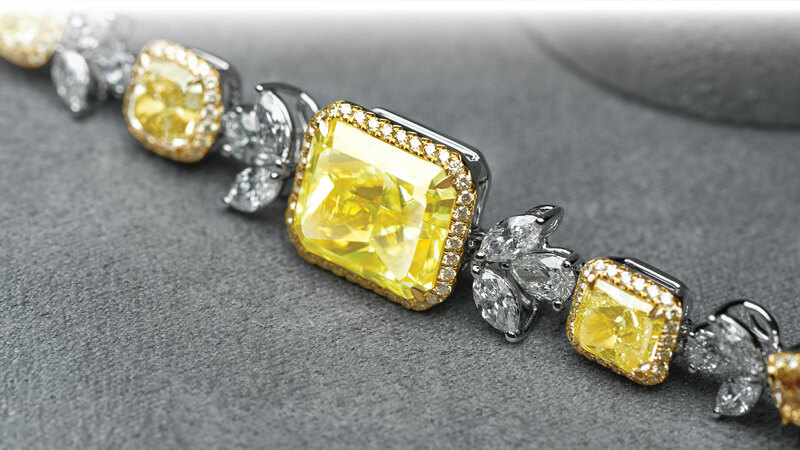 IRIS ALEXANDER honours the inimitable beauty of the world’s rarest and most precious gemstones, expressing their utmost potential with limited collections designed with audacity and reverence. 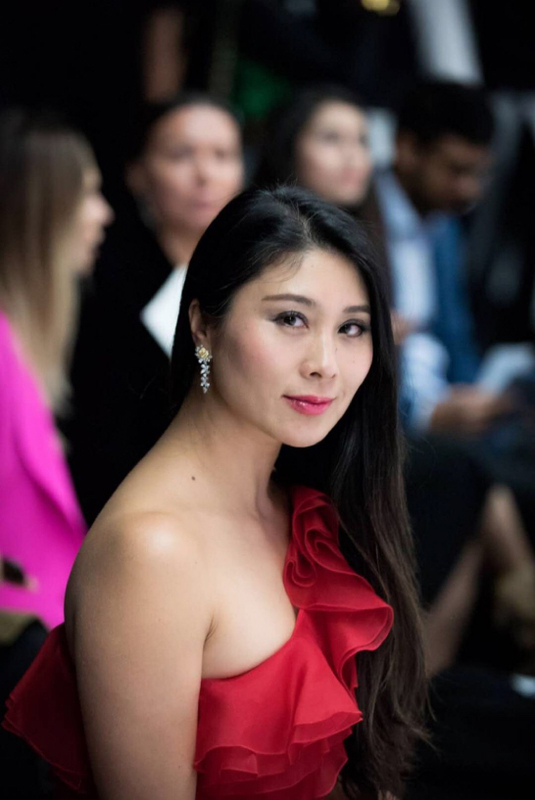 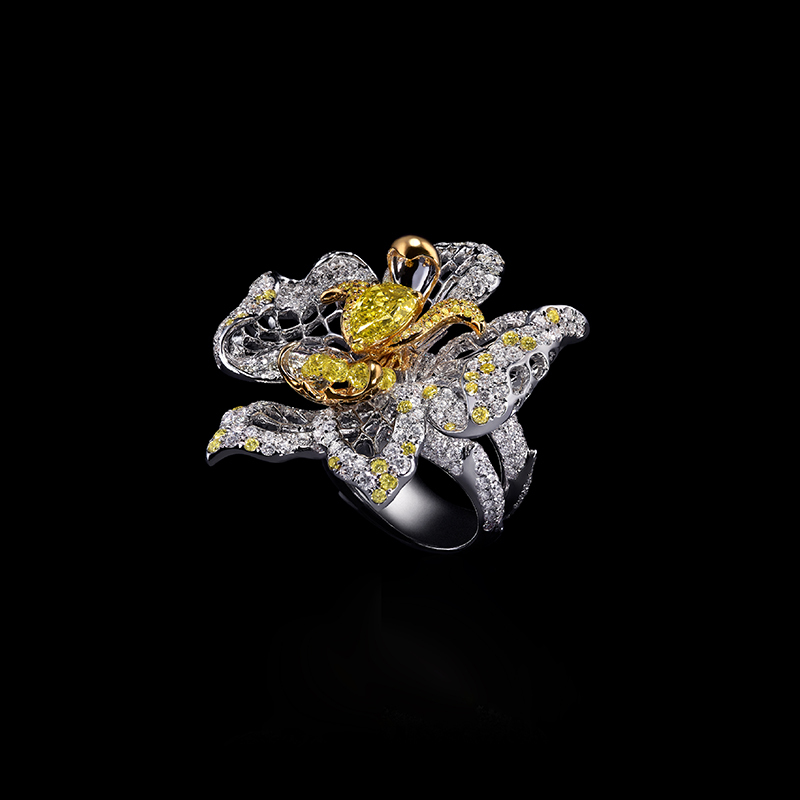 Each of her creations encapsulates the relationship between a woman and the moments in her life; inspiring and creating them – for an occasion, and for a lifetime. 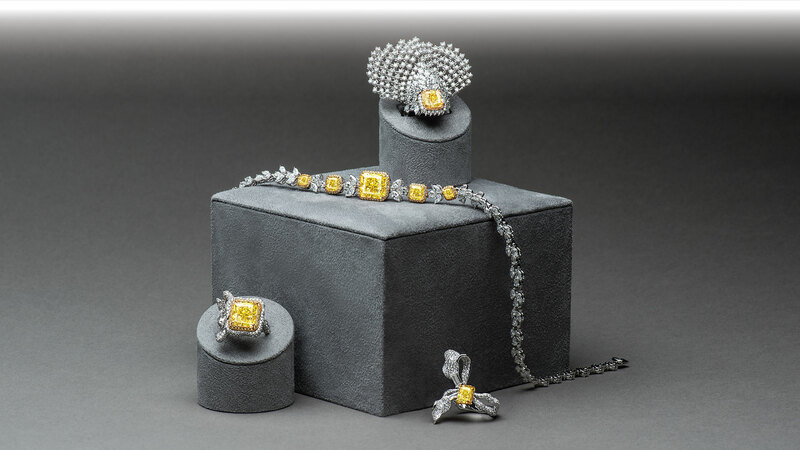 The intrinsic value of the collection is attainable due to our direct access and supply of rough diamonds at source via our exploration projects in South Africa through Almas Resources. 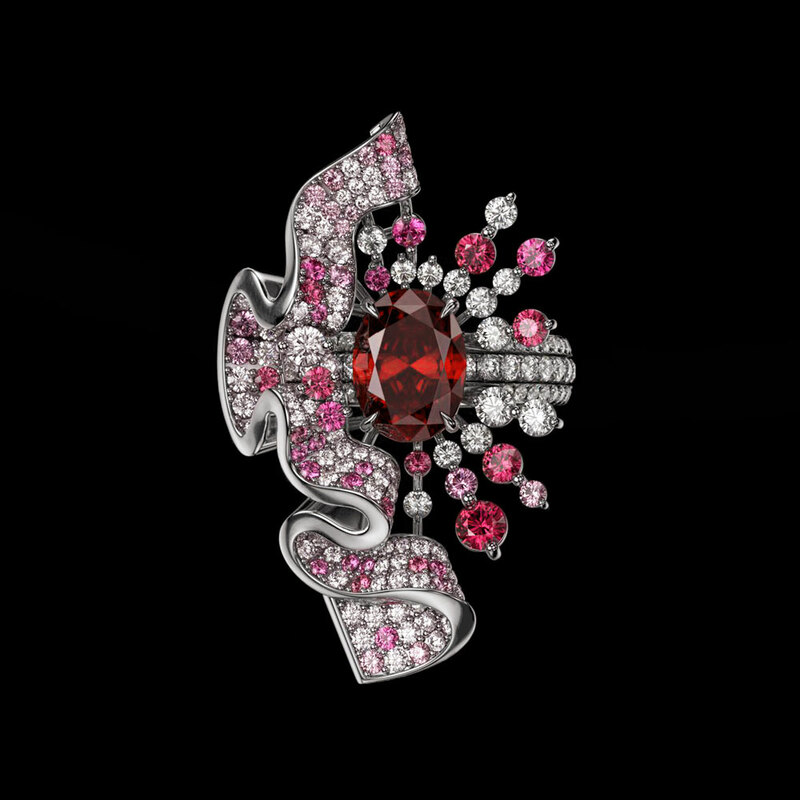 Intricate, vivacious and detachable, our Ruche Ruby Ring is one to be desired. 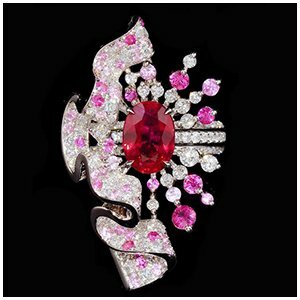 3 carat Natural Pigeon-Blood Red Ruby set with white brilliant diamond,pink sapphires and rubies. 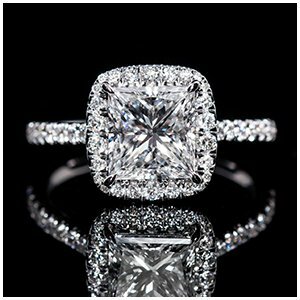 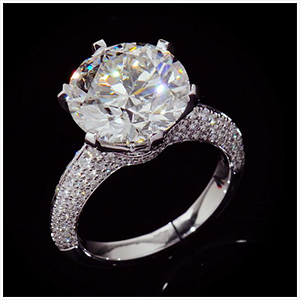 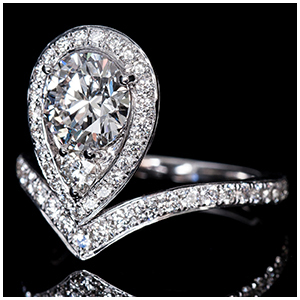 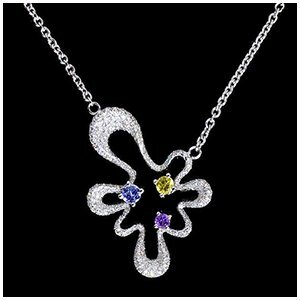 Set in 18k white gold. 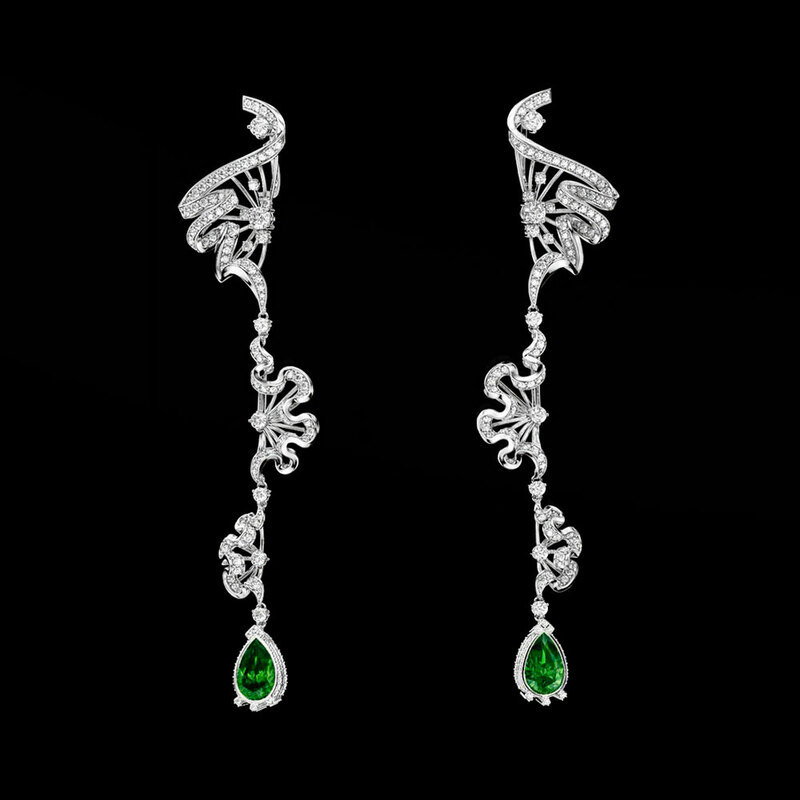 Pear Shape Emeralds in an exquisite Diamond setting make these Drop Earrings irresistible. 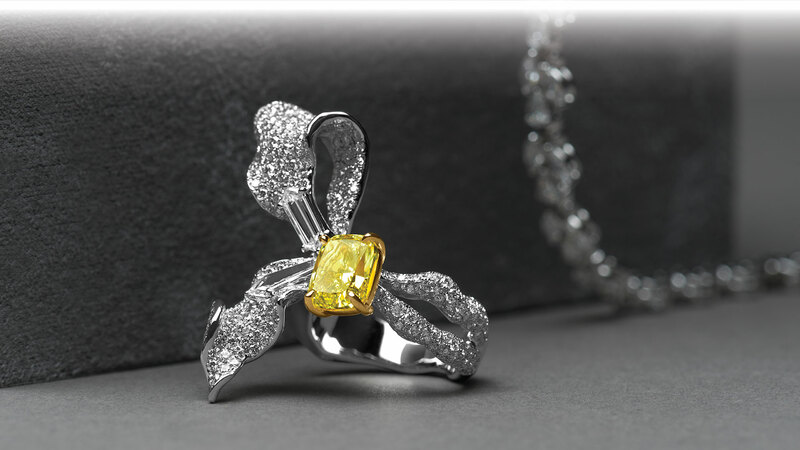 Inspiring and creative, for a special occasion and for a lifetime. 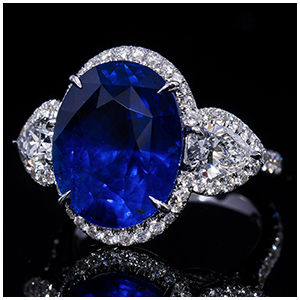 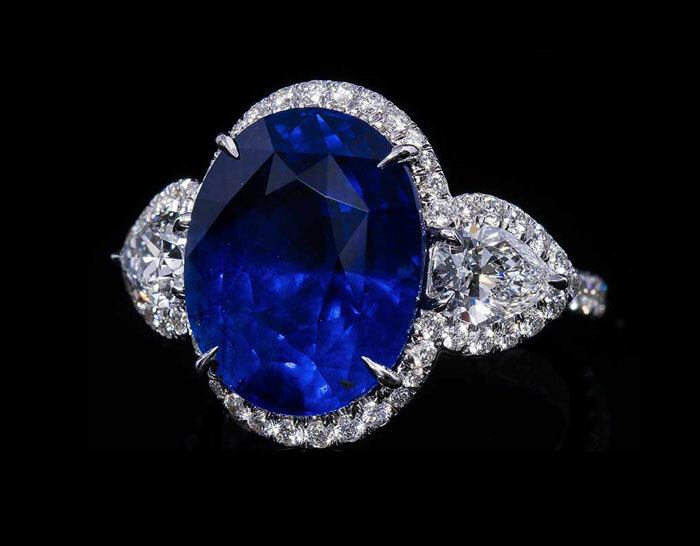 Natural, Royal Blue Sapphires bring this one of kind creation to life. 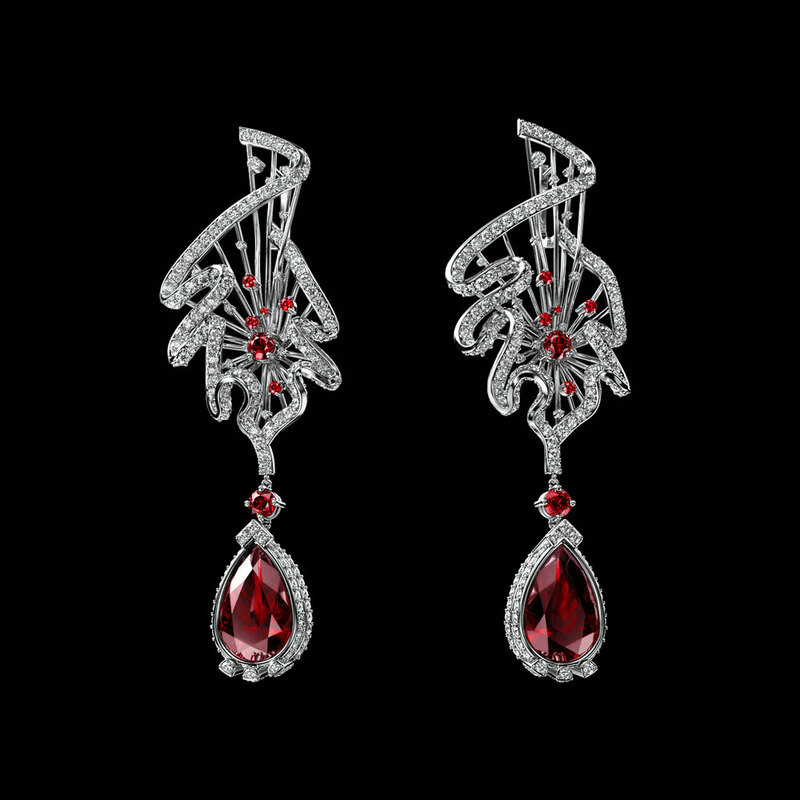 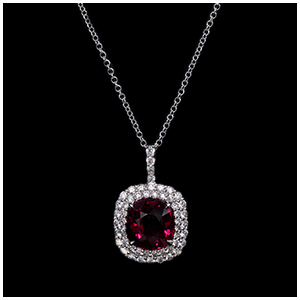 Stand out in our enchanting diamond and ruby cluster motif with Pear shaped rich ruby drops. 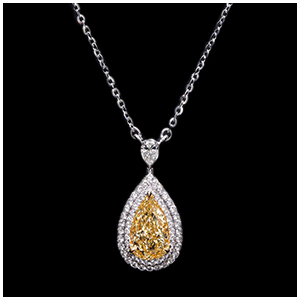 The most sought after precious topaz, and colour as the setting sun, our Imperial Topaz Necklace is detachable, with the centre stone piece removed to reveal a Brooch. 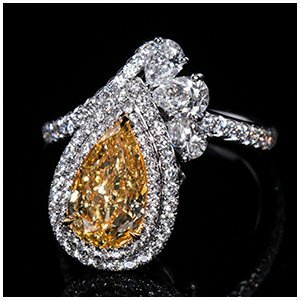 Set with over 800 white brilliant diamonds, our 10 carat Pear shaped Fancy Yellow diamond is gleaming, full of volume, dimension and allure. 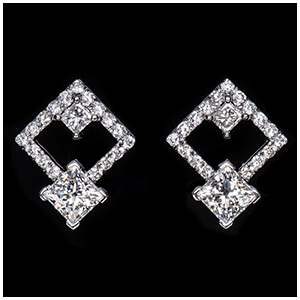 Set with 10 Rose Cut diamonds and 18k white gold. 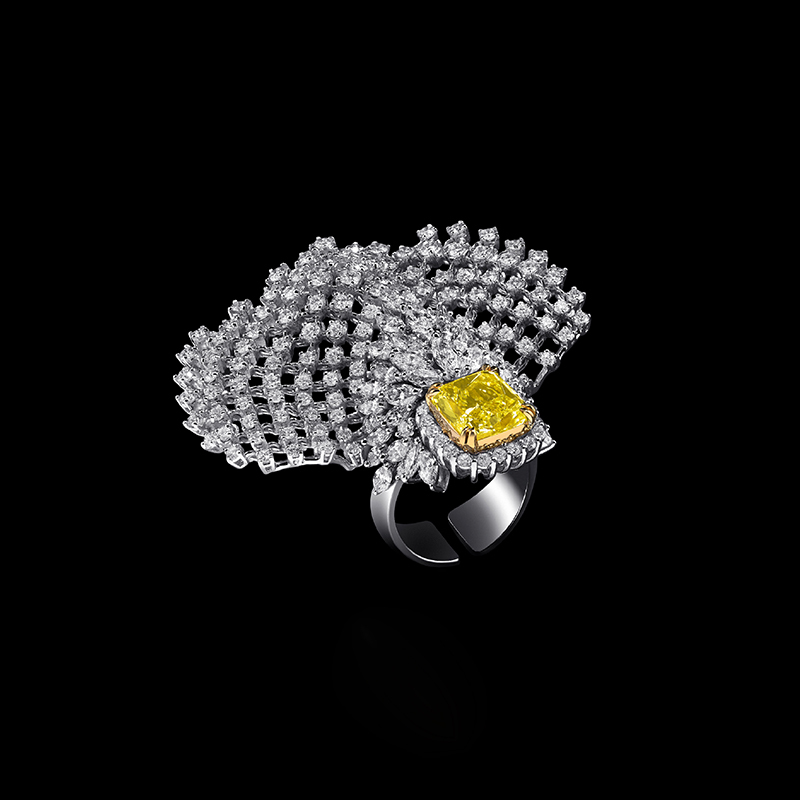 Shining with audacity is our 11 carat Radiant Fancy Yellow Diamond ring embraced by an elaborate arrangement of 148 white brilliant diamonds and 39 fancy yellow diamonds, set in 18k white and yellow gold. 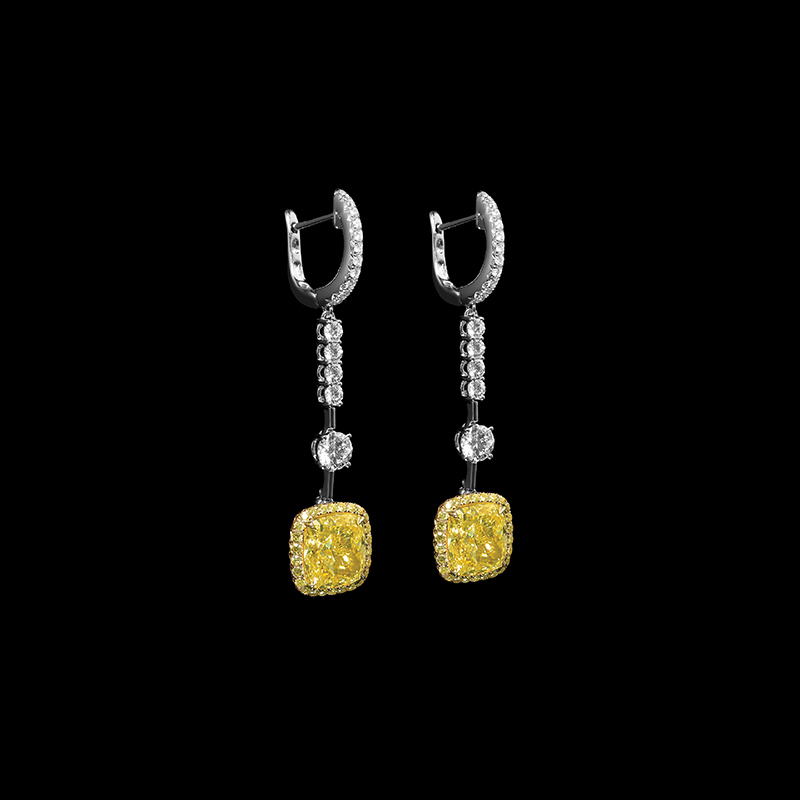 Create a wonderful sense of movement and fluidity with our striking Splash Earrings. 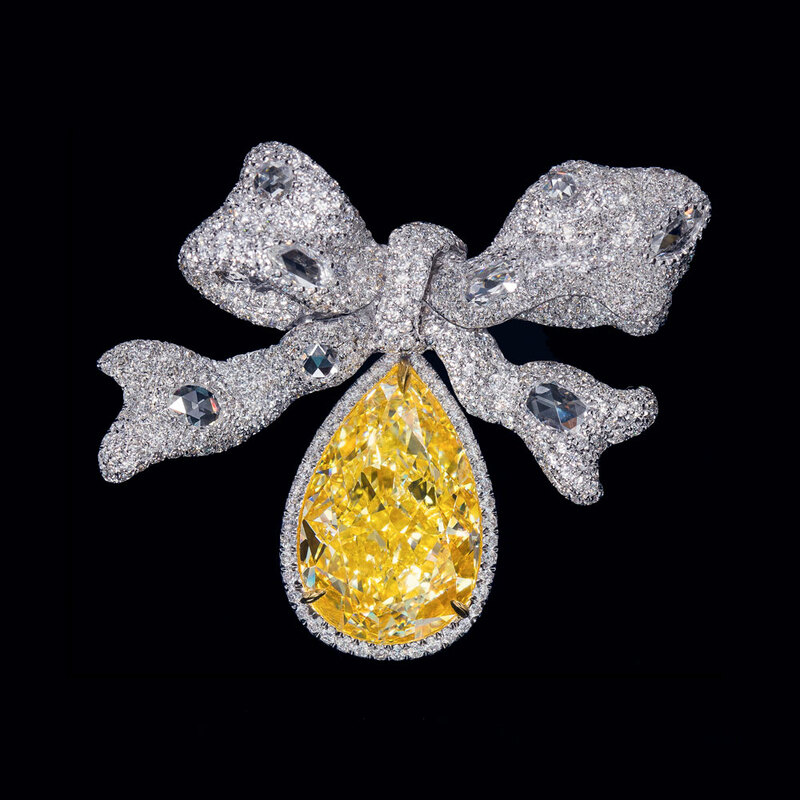 Two 3 carat Fancy Intense Yellow diamonds set with over 300 White Brilliant Diamonds, Rose cuts and Briolette’s, set in 18k white gold. 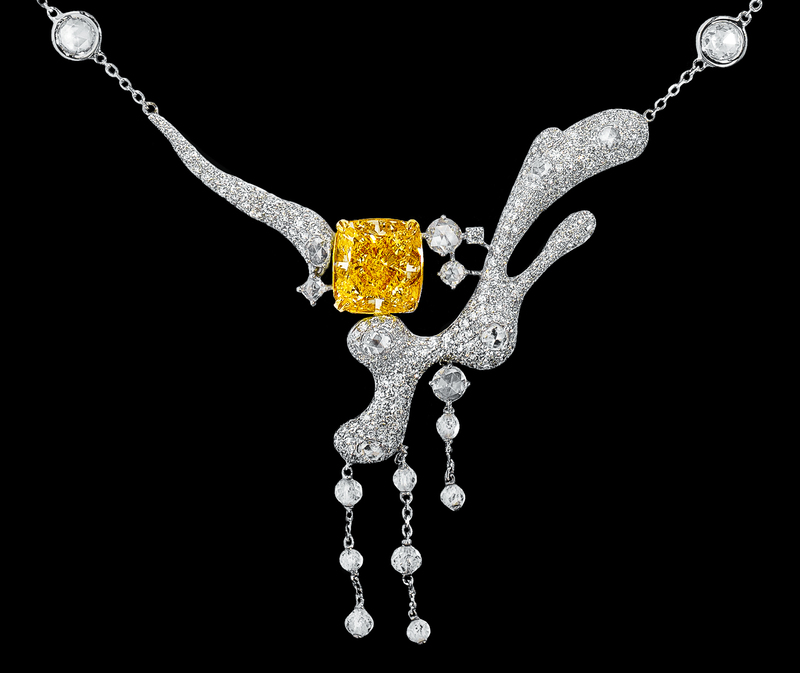 A piece of art, and complementing the Splash Earrings is our Splash Necklace showcasing a 6ct Cushion Fancy Intense Yellow Diamond, 20 White Rose cut Diamonds, over 300 White Brilliant Diamonds and 8 Briolette’s, set in 18k white Gold. 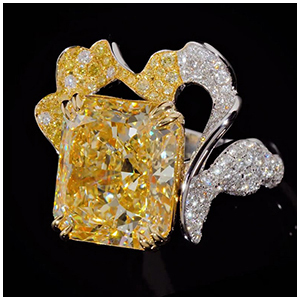 A true work of art, this stunning 5 carat Fancy Yellow Cushion Ring radiates classic elegance with a contemporary setting of Marquise and Brilliant White Diamonds totalling 9.86 carats in 18k White Gold. 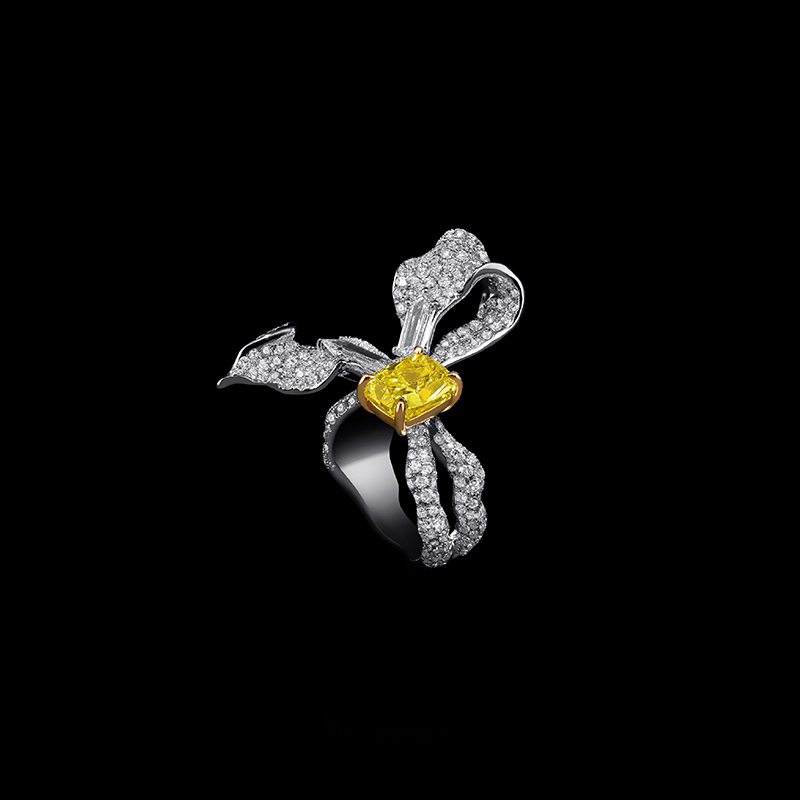 Embraced by Diamond petals consisting of 6.70 carats set in 18k White and Yellow Gold, our iconic Venus Ring blooms with the elegance of an Internally Flawless 1.50 carat Fancy Vivid Yellow Pear centre stone. 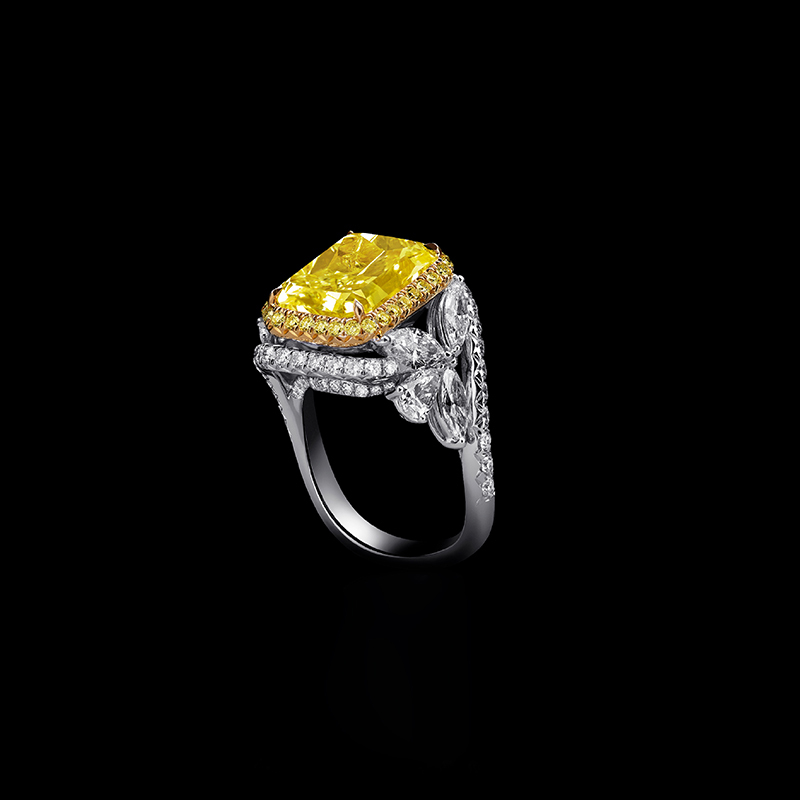 Sparkling with natural magnificence and set in 18k White Gold, the 2 carat Fancy Vivid Yellow of our Raphael Ring is flamboyantly matched by a pair of Shield Cut Diamonds. 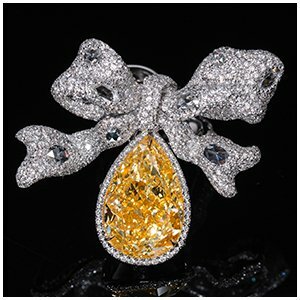 Celebrate the extraordinary beauty of our 1300s Ring’s 0.50 carat Fancy Vivid Yellow Pear Diamond and 144 Brilliant White Diamonds. 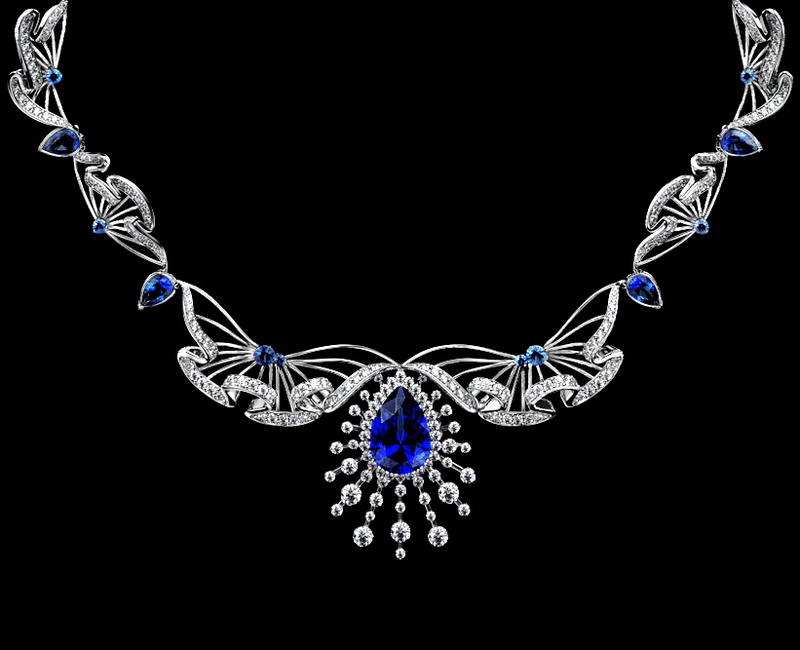 Crafted with 1,200 White Diamonds, totalling 18.96 carats, our Royal Constellation Necklace set in 18k White Gold shines with regal splendour. 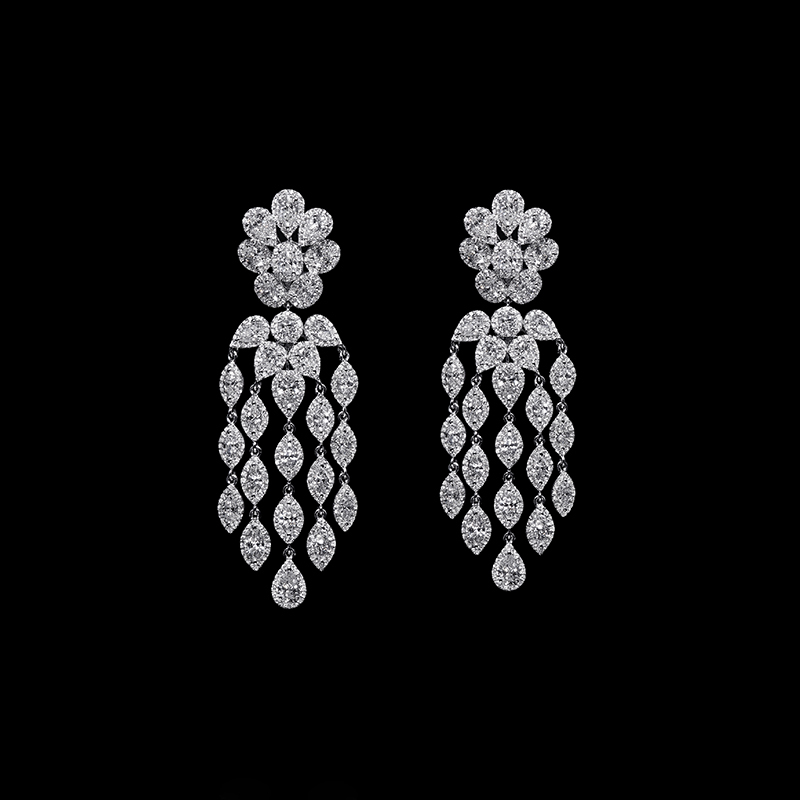 Our precious statement piece 18k White Gold Earrings are the result of a quest for excellence and feature a staggering 959 White Diamonds totalling 9.47 carats. 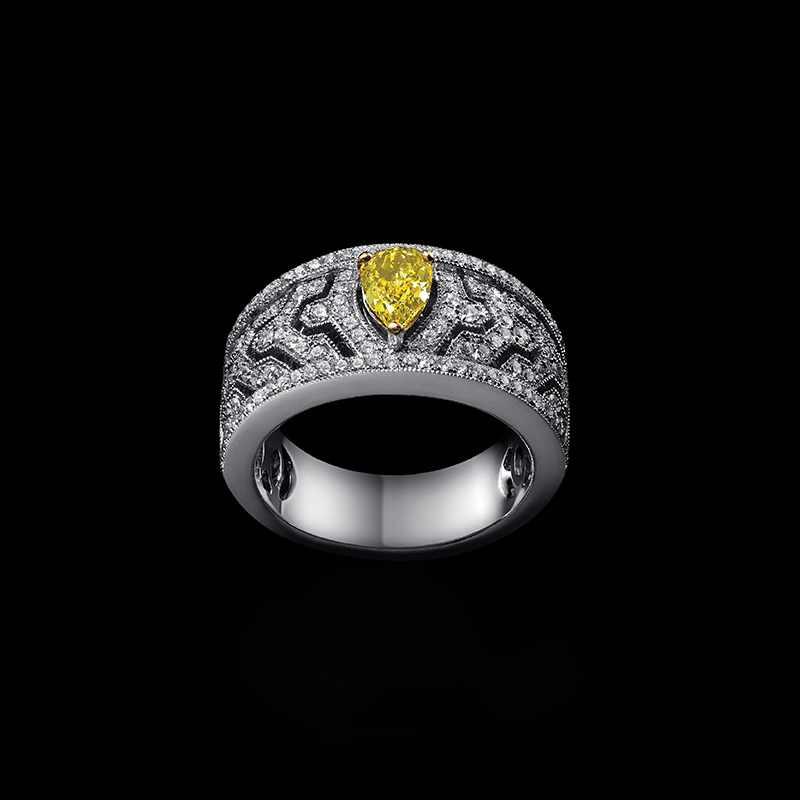 Featuring 340 White Diamonds snaking round the band, our Great Revival Ring is a true luxury icon with a voluminous design, a 8 carat Fancy Yellow Cushion and 32 Fancy Yellow Diamonds. 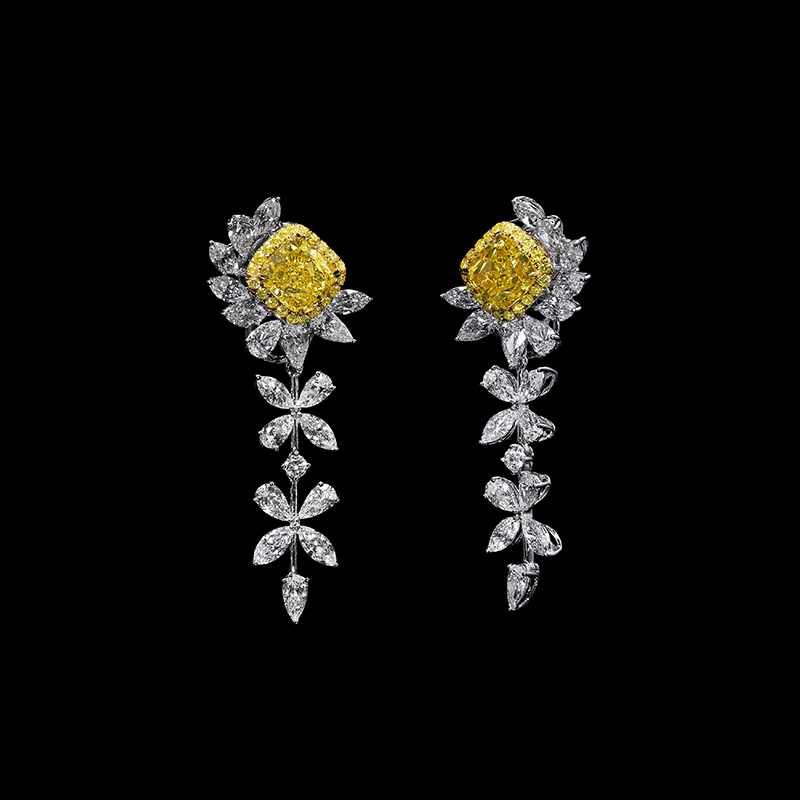 Heralding an exciting new renaissance in beauty and form, our Twin Queens Earrings showcase a 3.29-carat Fancy Intense Yellow Cushion and 3.28-carat Fancy Intense Yellow Cushion embraced by 52 Fancy Yellow Diamonds and 32 White Brilliant Diamonds. 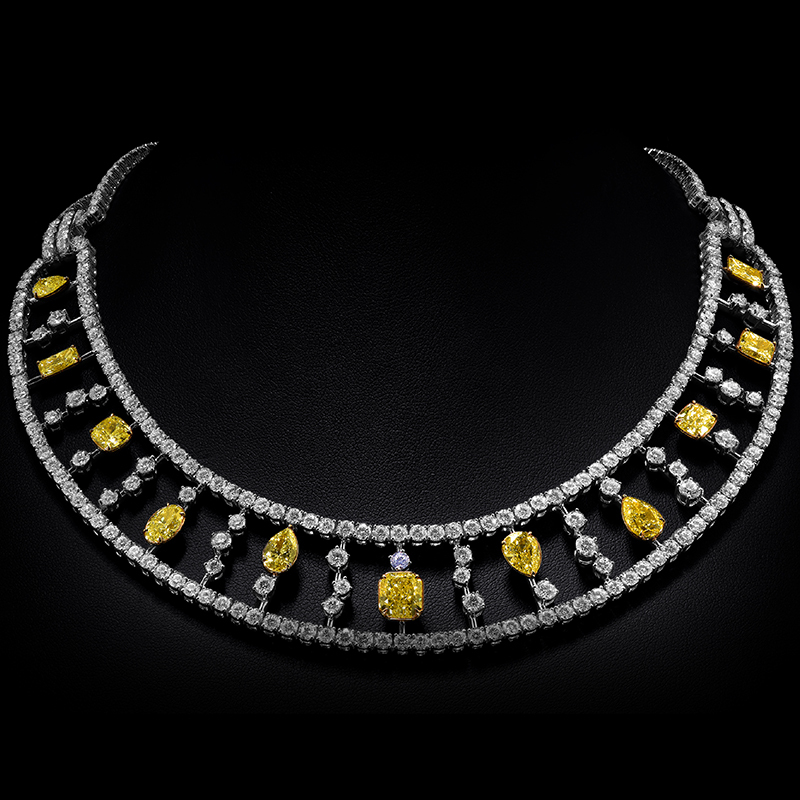 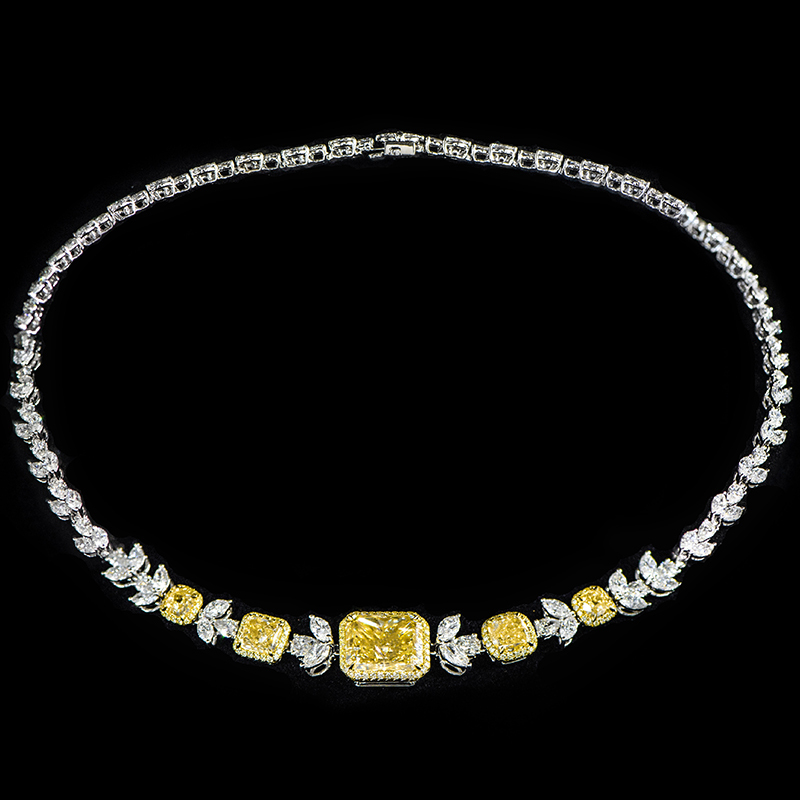 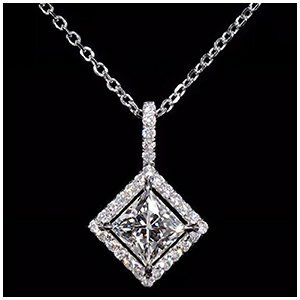 Sparkle and shine brighter than any star in our 14.41-carat Fancy Yellow Diamonds and 36.16-carat White Diamond Necklace set in 18k White Gold. 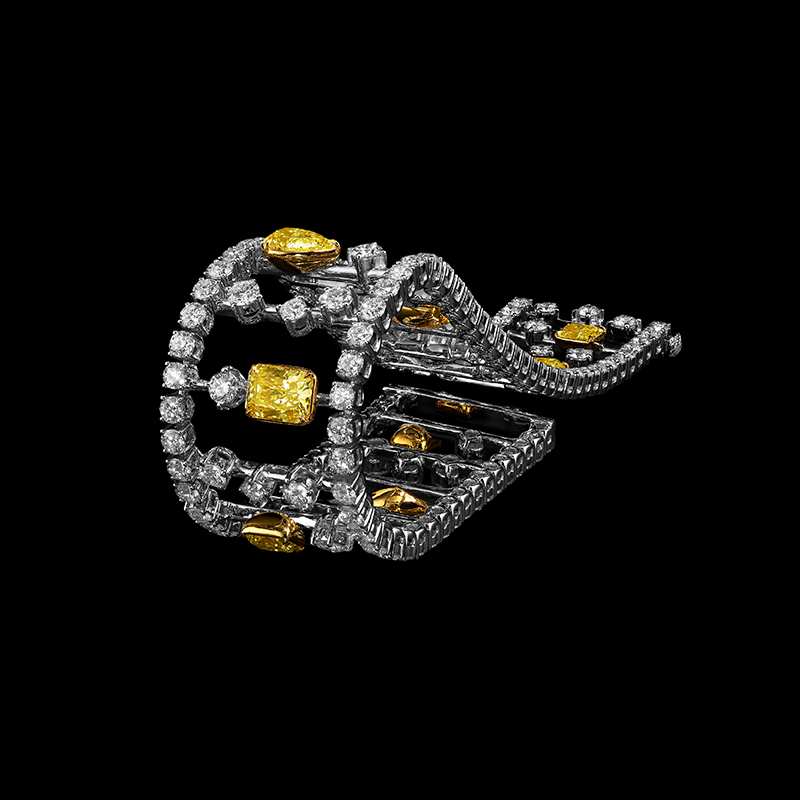 Taking inspiration from the night sky, our Moon and Stars Bracelet dazzles with 9 Fancy Yellow Diamonds of 8.86 carats and 146 White Brilliant Diamonds of 17.12 carats set in 18k White Gold. 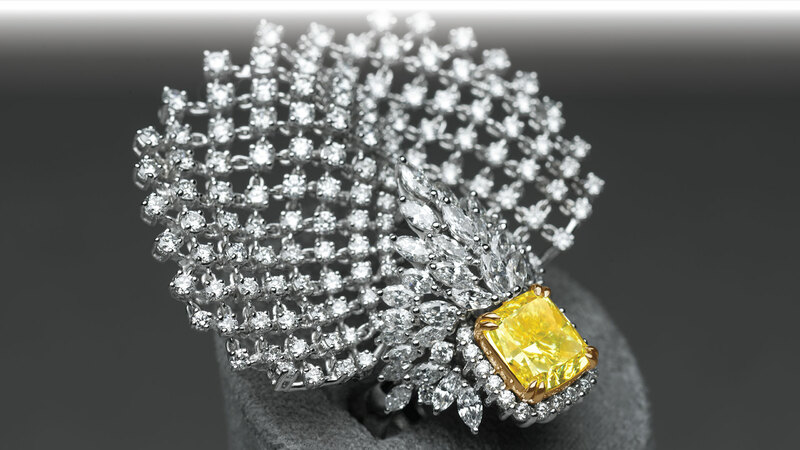 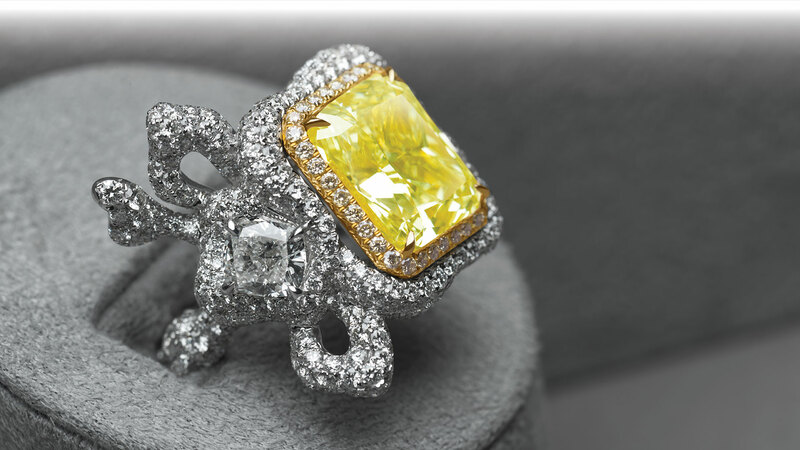 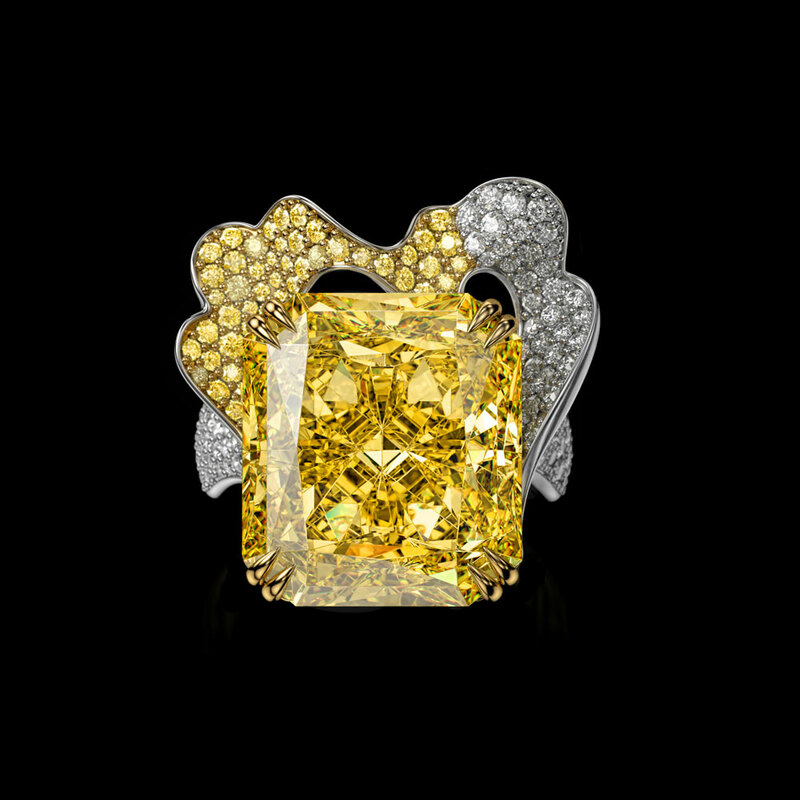 The ultimate statement of prestige our Yellow Diamond Dignitate Ring features a 6 carat Fancy Yellow Radiant embraced by 32 Fancy Intense Yellow Diamonds, 2 Pear Shaped Diamonds, 6 Marquise Diamonds, and 80 White Diamonds on the band. 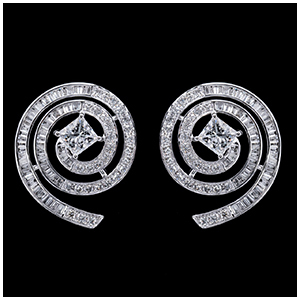 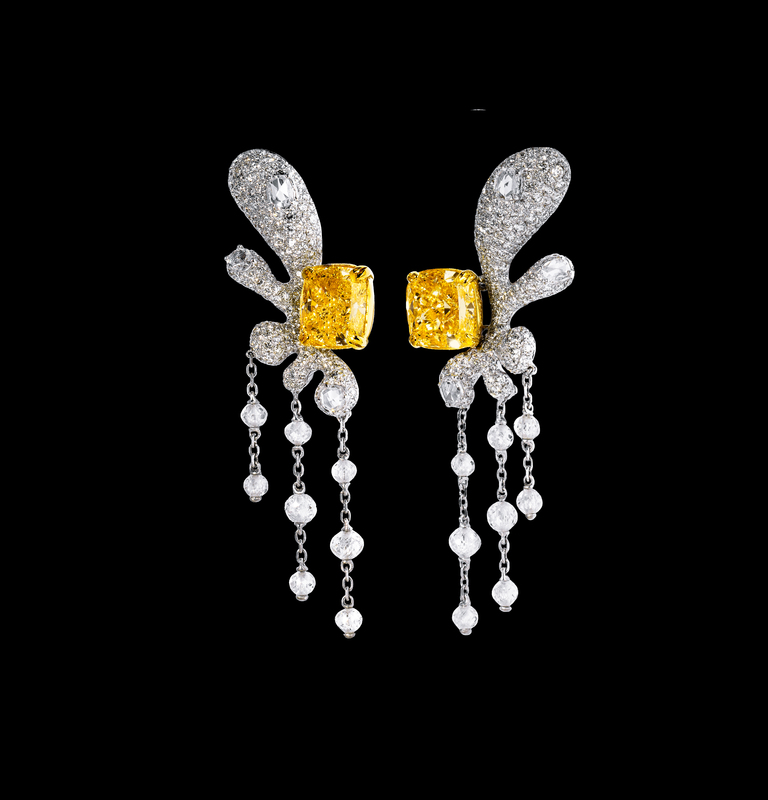 Encircling the most exquisite detachable 2 carat Fancy Intense Yellow Cushion and 2 carat Fancy Intense Yellow, our beautiful Laurel Earrings showcase 40 Fancy Yellow Diamonds, completed with 18 Pear White Diamonds and 18 Marquise White Diamonds and 2 Brilliant White Diamonds. 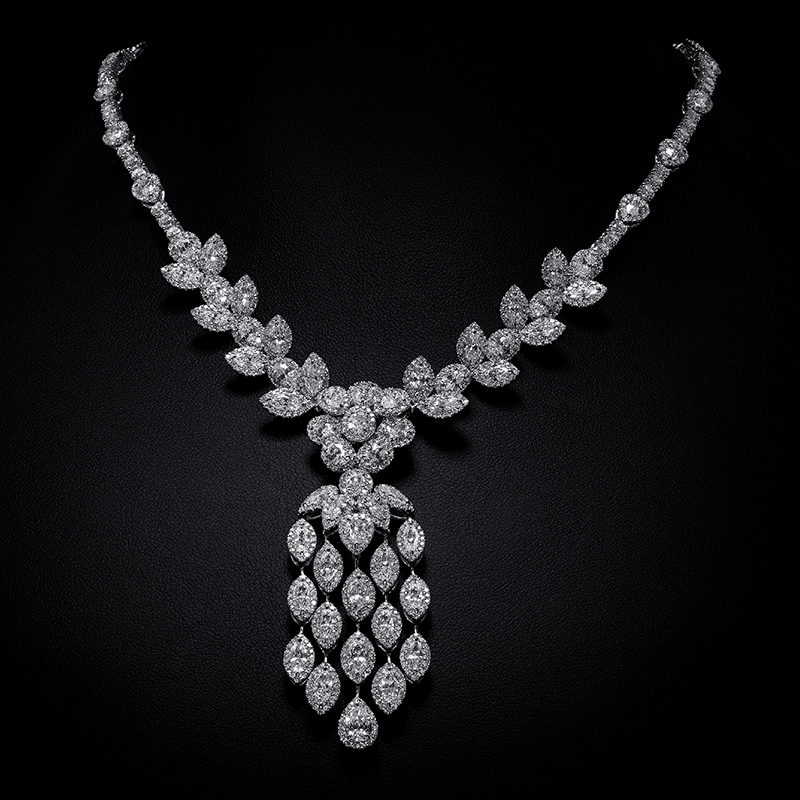 An iconic masterpiece, the Starhall Necklace expresses class, elegance and style. 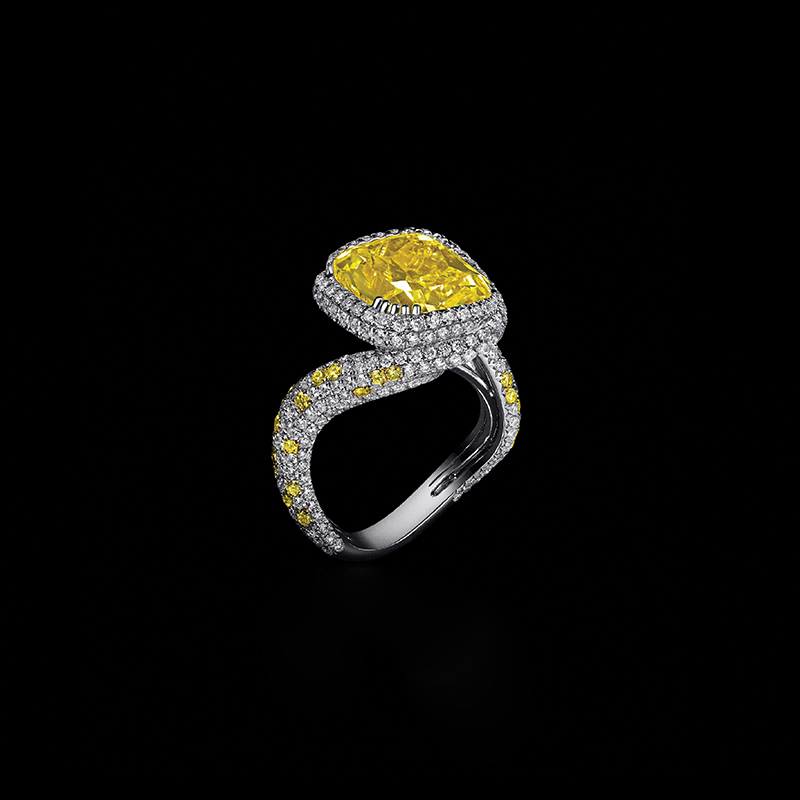 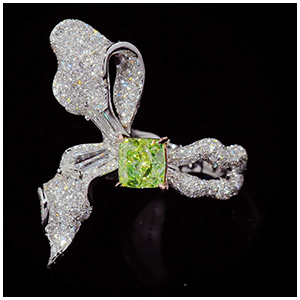 Totalling 31.38cts, it shines with abundance showcasing an Internally Flawless 10 carat Radiant Fancy Yellow Diamond centre stone, set in 18k white gold. 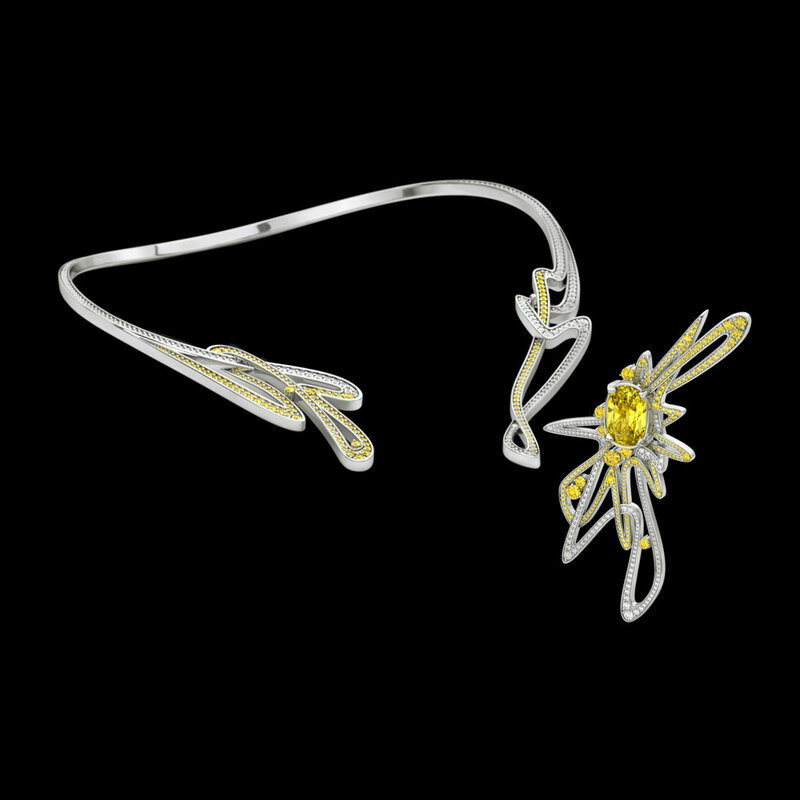 Iris Alexander bespoke jewellery pieces are exquisite and one of a kind, demonstrating the multi-faceted power and personalities of the women who wear them.